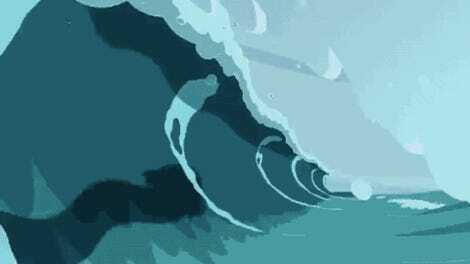 When Adventure Time makes its triumphant return to Cartoon Network next week with five all-new episodes, all will not be well in the Land of Ooo. For starters, something weird as hell is going on with Jake. 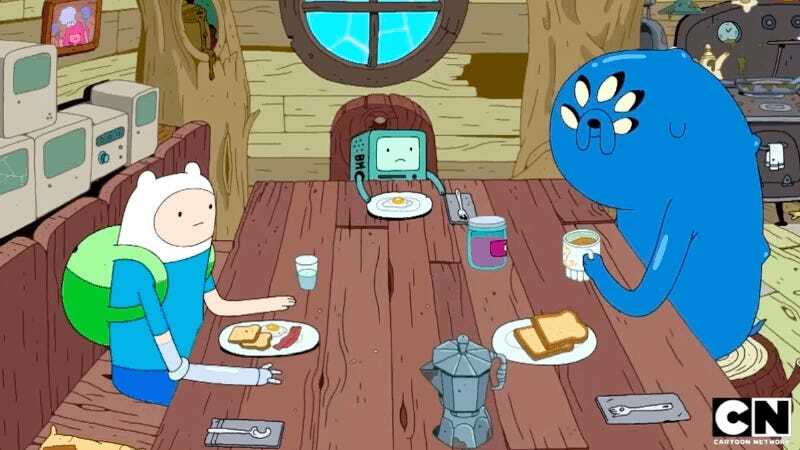 The latest batch of Adventure Time episodes run the gamut from a good old-fashioned epic quests for Finn to a Very Special Fiona and Cake episode. But in “Abstract”—the first episode, which premieres on Monday, July 17—a strange change takes over Jake that leaves him shiny, blue, and with far more eyes than he traditionally has. Neither Finn nor B-Mo can explain just what caused Jake to change and Jake doesn’t seem at all interested in figuring out the slew of new abilities he has. Monday, July 17: “Abstract” – As Jake goes through some personal changes, he’s haunted by a mysterious dream encounter with his brother Jermaine. Tuesday, July 18: “Ketchup” – BMO and Marceline swap stories about their recent adventures. Features guest appearance by Regular Show’s JG Quintel and guest animation by Lindsay and Alex Small-Butera. Wednesday, July 19: “Fionna and Cake and Fionna” – An unexpected critic shows up at Ice King’s latest Fionna and Cake book reading. Thursday, July 20: “Whispers” – While safeguarding a frightened Sweet P, Finn is led into a confrontation with an old foe. Friday, July 21: “Three Buckets” – Finn and Fern’s carefree visit to some old ruins turns disastrous.